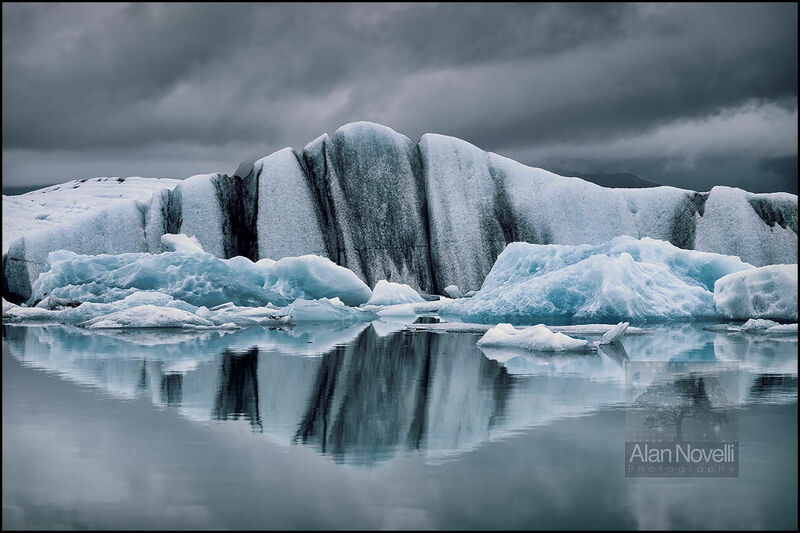 These beautiful icebergs with their intricate patterns are floating in the famous iceberg lagoon of Jökulsárlón. The moraines (or glacial debris) consisting of earth and stones scoured from the base of the glacier, have been trapped within the ice for many hundreds or even thousands of years. As the icebergs near the end of their life here, these deposits will shortly be once more released back into the environment.